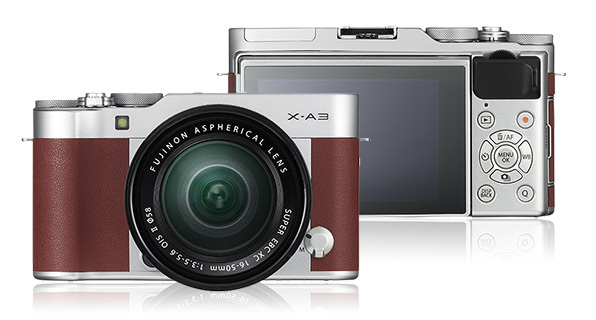 Home > Technology > The Fujifilm X-A3 — Your Perfect Christmas Gift! 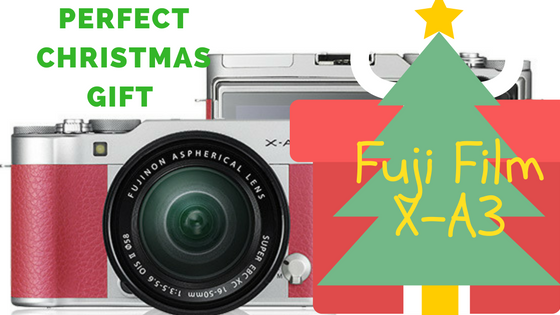 The Fujifilm X-A3 — Your Perfect Christmas Gift! Nowadays, a great debate rages among the “selfie generation”. In the era of smartphones with amazing camera specs, is it still worth it to have your own digital camera? With the release of the new Fujifilm X-A3, I want the answer to be yes. Smartphones will forever have advantages. For one, these are all-in-one devices that will take care of pretty much everything you need. And, they now come in incredibly compact form factors that will not stick out of those tight jeans. 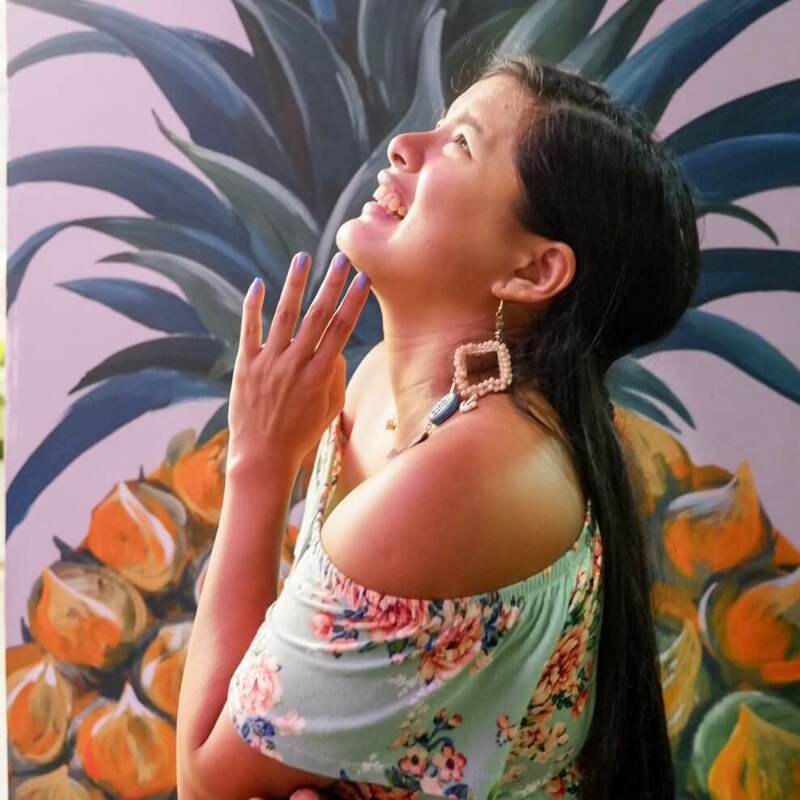 However, there are just those moments that scream for a dedicated camera — things like travel, events, a beautiful scenery, a treasured mistletoe moment with your special someone, a warm moment around the Christmas tree with the family. All these just scream for the experience of pressing a real-life shutter and adjusting a real-life lens. None of those awkward touchscreen interfaces. A real camera is just what you need. Fujifilm has adjusted nimbly to the demands of the selfie market. In its past offering, the Fujifilm X-A2 provides users with a 175-degree tilting screen that makes selfies a breeze. For this device, they were able to make the screen tilt back just a little more, to make selfies much easier. The 180-degree screen faces you directly, so you can frame your perfect, IG-worthy shots. Throw in a powerful 24.2MP camera sensor, and those precious moments are just an arm’s length away. See what I did there? The camera has a powerful focus, which can be used for still subjects and moving images. Just point the X-A3 and snap away. Whether you’re capturing falling snow, your girlfriends’ smiles, or flickering firelight, you’ll always find a perfect frame. Speaking of firelight, the Fujifilm X-A3 has a very wide ISO range — in layman’s terms, that means you can shoot great pictures even in low light. Shots in front of a bonfire? Check! In sunset? Check! By the moonlight? Check! Most likely, your current camera phone fails in that department. Oh, and remember those irksome flash pics that leave everything else in the shadows? 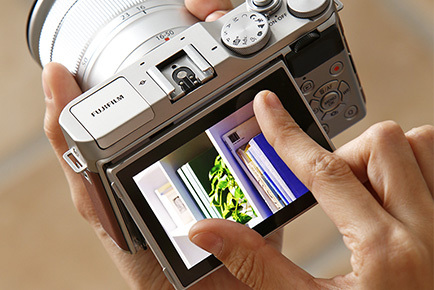 Say goodbye to that as Fujifilm’s offering boasts off the “super intelligent” flash. Unlike the mini-flashlights of old, the camera can sense just how much light it needs to deliver to make crisp photos. See? A camera that knows what you need! In the flurry of activity, a camera offers ease of use not possible in most smartphones. No need to swipe or press just for a camera app to load. The digicam makes true “point-and-shoot” possible. To expand on this, Fujifilm equips its newest offering with all the bells and whistles needed for ease of use. You can easily take selfies of you and your family, since the camera is easy to grip even with one hand. The camera has a feature that automatically brightens your skin tone, which ensures upload-and-share worthy pics. And they say that the real smile is in the eyes! With the X-A3, you can catch those twinkling lights reflected with the eye detection feature in addition to the standard smile detection feature. No need to say cheese, just smize. Fujifilm also bakes in its acclaimed “film simulation” technology into the X-A3. Think of them as filters on steroids. They allow you to adjust the colors to best match the scenes. There are a total of 11 modes in the X-A3, making those filter-savvy gals feel at home. From the classic Provia to the landscape-perfect Velvia, to the new additions only available in this camera model, there’s a lot of options to choose from. Finally, the mirrorless structure of the X-A3 makes it lighter than DSLR cameras, with virtually the same picture quality. No need to lug around heavy luggage just to make lasting memories. No added weight on your Christmas gift, too! With this camera, there’s no need to carry a charger all the time — the extended battery life offers around 410 shots on each charge. Its simple USB charger makes juicing up incredibly easy, too. With high quality pictures and full-HD videos that run at 24p and 60p, the X-A3 is guaranteed to produce great shots all the time. It comes with a lens so you can start shooting crisp family pics right away. And, with built-in WiFi connectivity, you can upload all pics as you take them. It’s not just the pics made for sharing, but the camera itself, too. Coming in three colors — brown, pink, and silver — and retro look (faux leather! ), the camera is a beauty to behold. The pink one particularly goes well for a vintage punk look! But at this rate it doesn’t matter which color you choose as the camera looks great with almost any fashion and would match any purse. The final question — is it worth the $599 price tag? Definitely. It’s the perfect Christmas gift, in time for the Yuletide jubilation. It’s an investment, something that you can use to store your precious memories wherever you go. Consider it your perfect companion for the new year and the many more years to come — with Fujifilm’s vaunted quality, it’s gonna be your BFF for a long, long time. I am a big proponent of smartphone for an everyday camera use. You have it in your pocket anyway. With advancements in camera’s quality and abilities, it’s tough to beat. Hard, but not impossible. Hence, can Fujifilm X-A3 compete? Does it have GPS? Does it have an ability to share via wifi or Bluetooth? I always want to know where a photo was taken and able to share instantly (i.e. no wires or cards). I used to have a similar model camera in this brand that also had that flip screen. It did make taking selfies much easier. A solo traveller’s necessity in an age where taking pictures with your phone’s front camera don’t really cut it quality wise. Heck yes, I need one of these bad boys in my Christmas stocking for sure. What a beautiful little camera! I am most impressive by the flash fixer, that irks me terribly with my current camera. Thanks for this camera review. Always good to read others opinion before buying one! I have a camera very similiar to this and although I am still trying to figure out how to use some of the features I love it. I am constantly experimenting with different features and sometimes capture some incredible photos. I also have some rubbish ones! It looks like a very cute camera if you are looking for a top end point and shoot. A good Christmas pressie for someone special perhaps? Hi its 599 usd but its at par with similar models and it is a really good camera. I don’t regret getting it. ooo, I like this one, I was sold at small and light, and of course the pink color 🙂 I have been lugging around my DSLR lately and keep saying I’m going to leave it home and use my phone for pics, but they just don’t turn out the same. I would love a smaller camera for everyday and short trips and save the DSLR for times when needed. I agree that having a dedicated camera is worth the expense. I just ordered a different model, but this one looks pretty awesome as well. Do you take your blog photos with this? Pretty sweet. Now, I do. Really happy with it. Planning to start making videos too. Is this Fujifilm’s first digital camera? I am keen to handle one and get a feel of it. Canon is quite heavy, good to know that theirs is lighter. I have to go and be stereotypically girly here – this camera is so cute!! I have seen that model in action and I think it is value for money. It’s not the best in class but that is also because of the price tag. Also, I think this is a good companion camera for the casual photographers. Sure, the smartphone is the default camera because who doesn’t have one today? But this is a compact camera that can be brought to different places. One thing I do not agree with is the selfie. I think for standalone cameras, marketing for selfie is nothing more than marketing gimmick. It’s not easy to hold one and do a selfie because of its size and weight. My boyfriend and I just use our smartphones and Yi-Cam to take pretty photos during our travels. But guess what, when I started to travel I felt like it is a must to have a good quality camera. Someday I can afford such camera and would be able to take lively images. Great reviews! Oh my!!! I was just telling myself that I will someday have my own quality camera, a Fujifilm x-A2 to be exact. Tapos meron na palang x-a3! I can still remember how amazed I was with x-a2. I was able to see its beauty just this May 2016. I don’t know when it was released but oh boy. Technology evolves really fast. Ang bilis na lang mag-upgrade ng features. That’s a fabulous camera from what I see on the Pictures. I like it’s look as it is very difficult to find a great camera with a good look. This is great review and helpful form me. I have been looking for a camera myself that is user friendly. I have a fujifilm camera too! I must say this is a good value for money 🙂 great review! Very detailed! This will be very helpful for those who are looking for which camera to buy, especially for beginners! Wow, I’ve been dreaming to have a Fujifilm camera and this one should be something I should get myself excited and save more money for it. I’ve been using my DSLR for almost 2 years now and sometimes I find it bulky and I’m having a hard time carrying it whenever I travel to a different places. Yes, smartphone has all the advantages, but I as well prepared to have a Camera like Fujifilm X-A3. A Well written review by the way.